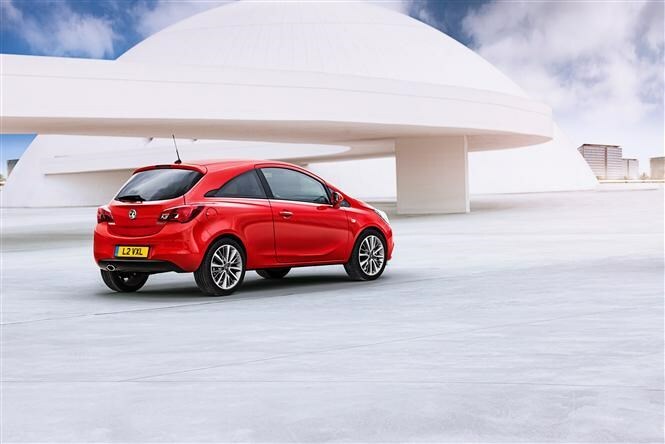 This is the eagerly anticipated 'fourth-generation' Vauxhall Corsa which is due to go on sale at the end of the year. Despite being pretty long in the tooth, the current Corsa is still one of the biggest selling cars here in the UK, in its last full year 83,000 Corsas made their way to new homes in the UK alone. Like the current model, the next-generation Corsa will be available both as a three and a five-door and will make its first public appearance at this year’s Paris Motor Show in October. 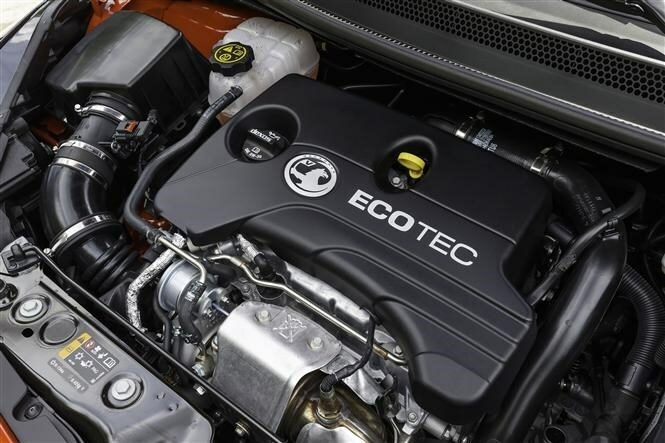 Making its debut in the new Corsa will be a completely new 1.0-litre three-cylinder ECOTEC Turbo petrol which will be available with a choice of two power outputs; 89bhp and 113bhp. A new version of the 1.4-litre turbo engine will also be launched as well as updates across the engine range including the 1.3-litre diesel which will now be Euro6 compliant. Official fuel consumption figures and CO2 emissions data is yet to be released but Vauxhall is confident all figures will to be much improved over the current line-up. As well as the new engines the new Corsa will also feature two new six-speed gearboxes, one manual and one automatic, and a new chassis set up with the aim to improve ride quality and handling. Although from the outside the new Corsa may look very similar to the current model with only subtle design tweaks introduced and no change in size, inside is where the big changes are with a completely re-designed centre console and dashboard. 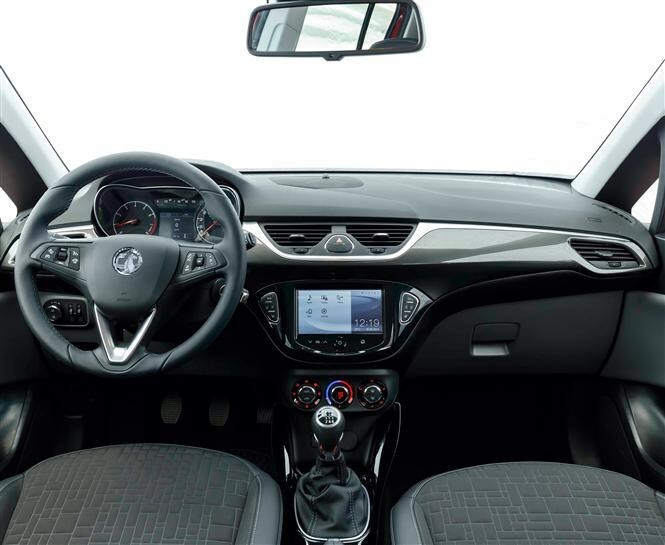 The next-generation Corsa will also feature Vauxhall’s IntelliLink technology (first seen in the Vauxhall Adam) which will display content from your smartphone onto the seven-inch colour touchscreen. By using this system you can gain access to apps like BringGo (for navigation), Stitcher and TuneIn (for global radio channels and internet podcasts) while on the move as well as use other features like Bluetooth, Siri and voice command. 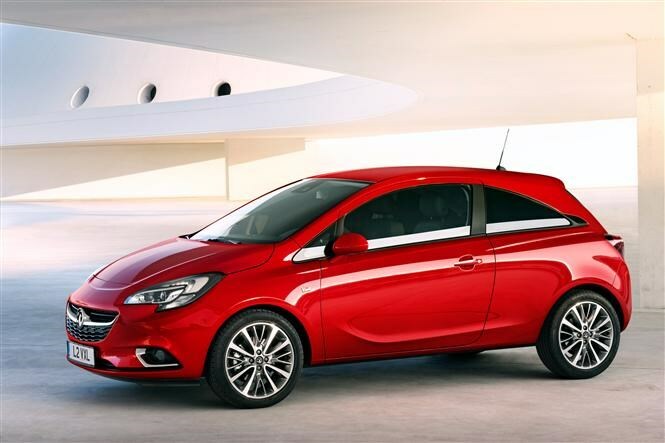 Also available on the new Corsa (standard on higher trim levels, optional on others) are heated front seats, reversing camera and a panoramic sunroof. A range of new safety systems will be available in the Corsa for the first time including Hill Start Assist, Automatic Park Assist, a Tyre Pressure Monitoring System, high beam assist, blind spot monitoring and lane departure warning. More details on the new Corsa, including pricing, will be revealed later in the year. Parkers will be among the first to drive the new Corsa before it goes on sale here in the UK, make sure you keep checking back for our full review.